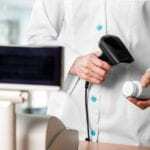 Pharmacy technicians support licensed pharmacists by dispensing medications and other health-related products to patients. Their training in the areas of pharmacology, pharmaceutical calculations, drugs and their effects on the body, inventory management, reading and interpreting prescriptions, packaging and labeling products, drug dispensing and customer service prepare them to become capable assistants to pharmacists who need the freedom to stay on top of with new medications released in the market and counsel patients. Graduates of a pharmacy technician program must register as a pharmacy technician in Arizona before practicing. 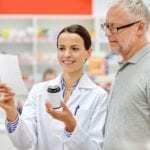 A technician who has completed and passed the Pharmacy Technician Certification Board (PTCB) exam may to upgrade their license to Certified Pharmacy Technician. Certified technicians may earn more than those who are not certified by a national accrediting agency. 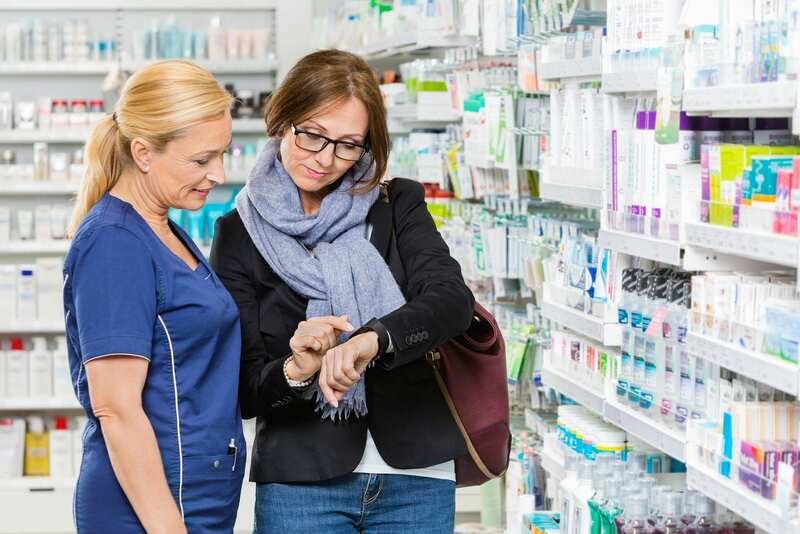 Pharmacy technicians work in retail and institutional pharmacies, home health settings, long-term care, mail order pharmacies, and pharmaceutical wholesale companies. The pharmacy technician certificate program at PIMA Community College prepares students to work as a pharmacy technician assisting a pharmacist. The curriculum includes training in a classroom, laboratory, and clinical setting. Students must complete the program prerequisites with a grade of C or better before proceeding to the next courses in the sequence. Program prerequisites include reading assessment, math assessment, and writing assessment. General education requirements include Communication and Analysis and Critical Thinking. Core courses include introduction to pharmacy technology, drug therapy, pharmaceutical calculations, pharmacy operations, computer applications for pharmacy, sterile products, inter-professional relations in pharmacy, pharmacy law and ethics, pharmacy technician internship and a clinical seminar. Graduation requirements for the certificate program are 42 to 52 credits. Graduates have the option to continue taking classes towards an AAS Pharmacy Technology degree. To earn the associate’s degree, students must complete 62 to 72 credits. Tuition for the program is $4,044. Books and supplies cost an additional $4,000. The pharmacy technician program at PIMA Medical Institute equips students with the skills to enter the health care world. Graduates are prepared to work in a retail pharmacy, home health care setting, hospital pharmacy, mail order pharmacy, or pharmaceutical wholesaler industry. The training also prepares students for success on the national exam to become a certified pharmacy technician. Areas of study include anatomy and physiology, computer basics, math fundamentals, CPR and First Aid, pharmacy math, pharmacology, pharmacy law and ethics, inventory maintenance, pharmacology, pharmacy technician duties, principles of customer service, fundamentals of chemistry, and pharmacy externship. Students complete a total of 800 contact hours in the classroom, lab, and clinical setting and earn a total of 34.5 credits at the program’s completion. Students have the option to become IV certified as a part of the training. Tuition for the 10-month program is $12,975 plus $960 for books and supplies. The pharmacy technician program at Carrington College provides theory and practical training to enable students to function as a competent entry-level assistant to a registered pharmacist. The coursework includes training in drug distribution systems, pharmacy calculations, chemical and physical characteristics of drugs, preparation of sterile dosage forms, pharmacology, pharmacy medical terminology, dispensing and documenting medications, and abbreviations and symbols. The curriculum also covers ethics and laws in pharmacy practice and drug distribution methods. Graduates earn a Certificate of Achievement and are eligible to enroll in the Associate of Science degree program in pharmacy technology. A clinical externship at an approved healthcare facility provides students with real-world experience that will prove valuable in the search for employment. The final module of the program includes preparation for the CPhT national certification exam. Graduation requirements for the Certificate program are 36 credits and 60 credits for the AAS degree. Tuition for the program is $13,992 plus $1,035 for books and supplies. The pharmacy technician program at Brookline College prepares students for practice in just 32 weeks of full-time attendance. Part-time (evening) students complete the program is 39 weeks. Graduates earn 31.5 credit hours and are eligible to apply for the national certification exam. Brookline will reimburse the exam costs to students who earn a passing grade in the exam. The curriculum includes instruction in pharmacology, concepts in health care, the administrative aspects of pharmacy, pharmacy operations, pharmacodynamics, pharmacokinetics, and pharmacy practicum. The curriculum covers 280 lecture hours, 280 lab hours and 160 practicum hours for a total of 720 hours. Tuition for the program is $15,225.